Mario sang some sweet tunes last Sunday at Six Flags Great America in Gurnee for their ‘Sunday Rocks! Concert Series‘. During the summer, on specific Sundays, Six Flags features many well-known national touring acts to you for free (with theme park admission or a season pass). Last weekend, I stepped out of my musical comfort zone to attend a non-metal, non-rock concert. I attended an R&B concert featuring Mario. I always try to expand my horizons and this was a perfect time to do so. I was familiar with Mario’s hit single, “Just A Friend 2002”. I, along with millions of other people know Mario from his stint on “Dancing with the Stars”. Mario’s dance partner was Karina Smirnoff (most noted for dating Mario Lopez). Last Sunday was hot and sunny and Mario’s fans were sweating for him big time. I haven’t been to a concert that was so intense with fan adoration in a while. It felt like every person in the theatre knew his lyrics – except for me. Mario came out to the crowd with his nice jeans, white sunglasses and jacket on. Mario took off his jacket to reveal his white tee. He eventually took off his shirt and sunglasses, right before he brought a lucky fan on-stage to serenade. He made a quick wardrobe change and concluded his show in a nice black business suit. Young Steff and Colby O’Donis opened up for Mario. 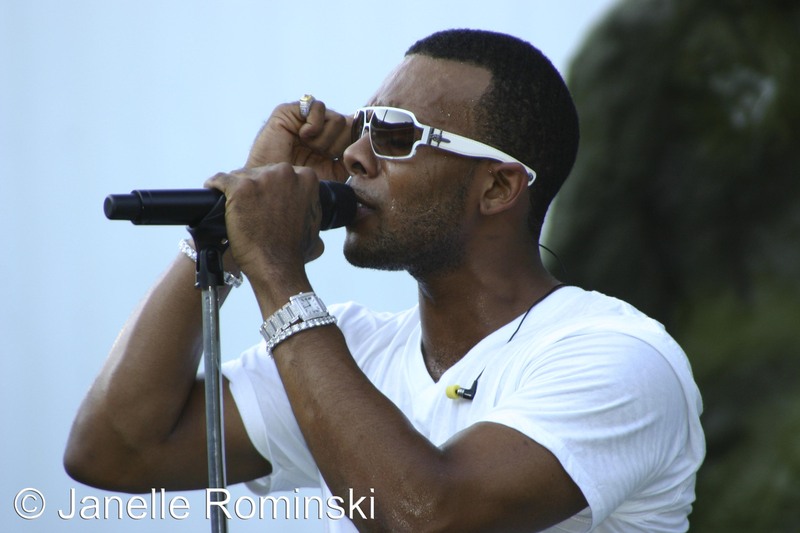 O’Donis is signed to Konvict Muzik, a record label owned by singer Akon. Singer Rory, made a special appearance with Colby on the Six Flags stage. Closing out the ‘Sunday Rocks! Concert Series’ this weekend is London native, Natasha Bedingfield. American Idol winner, Jordin Sparks will be performing a special show at Six Flags Great America on Saturday, July 16th.